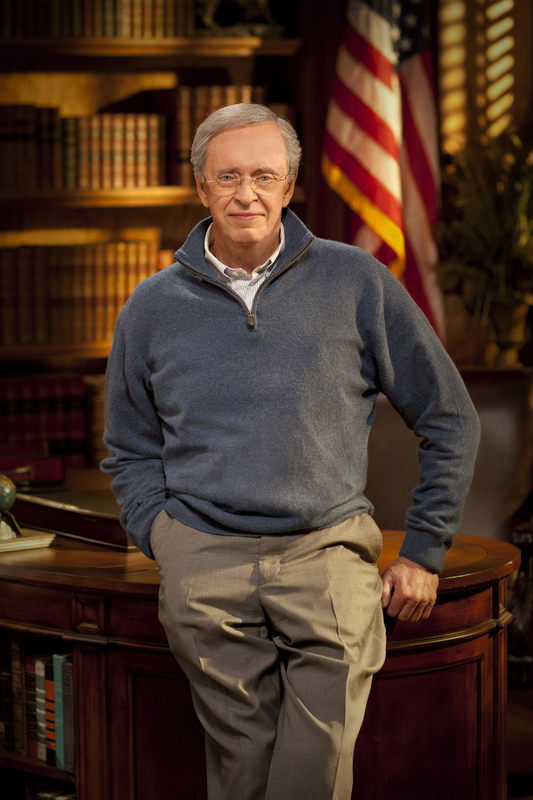 This powerful book from the bestselling Dr. Charles Stanley outlines key areas of conviction that can make or break who we are and how we live. 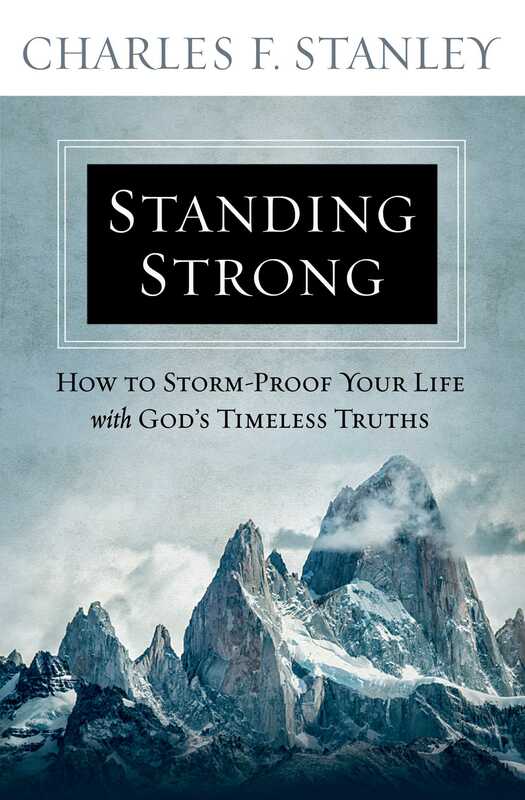 Standing Strong is the product of Dr. Stanley's lifetime journey of defining his convictions—based on God’s Word—and choosing to stand by what he believes...no matter the consequences. As he shares what he has discovered, he guides us as we examine and shape what we believe, so that we can live strong, with confidence, hope, and an assurance that when our convictions are based on God’s truths, we can’t go wrong. A life that makes an eternal impact. I think all of us would agree that’s the kind of existence we wish to have—one that has a lasting influence on this world and beyond. We want to know that the days we live are actually making a difference and that there is a reason for what we do and for the difficulties we experience. We want to be sure that what we are standing for is worthwhile. But we also understand that to do so, we must break free from the factors that make us weak—those issues that hold us back and undermine us. Because the truth of the matter is, it usually isn’t when we’re feeling tough and confident that we go looking for books on standing strong. It’s not when we’re secure and assured that we need encouragement. Rather, it’s when the future is unsure. We become aware that we might not be as successful as we thought, and we long to know how to make it through—and how to do so well. It’s when the burdens get heavy, the challenges we face seem impossible, or the obstacles that stare at us from the horizon appear overwhelming. That’s when we realize that we are in danger of being less than we’d hoped to be or, worse, failing altogether. That’s when we reach out for wisdom about how to stand. Whether we are eight years old, forty-eight, or eighty-eight, in the core of our hearts, we don’t want failure to characterize the end of our stories. We don’t want to be known for our worst mistakes and defeats, but for our greatest victories and triumphs. So what goes into the construction of a strong life? It’s not just having a healthy body—that’s useful, but there is much more to it than that. Likewise, it is more than having a good job, plenty of money, or prestigious social standing in your community. How can you experience a strong, fruitful life? What does it take? To understand this, we can take a lesson from architecture, since we know what it takes to raise a strong building. In fact, it is a useful exercise to look at the edifices around us and throughout the world and consider what causes some structures to endure throughout the centuries of bad weather and harsh elements and others to topple within years of their construction. Naturally, we cannot go into a detailed examination of this topic. But what are the basic reasons some buildings can withstand the poundings of the harshest elements and others fail at the onset of bad weather? The most important factor, of course, is a stable foundation. We sometimes see tragically sad reports in the news. A two-story island resort in Thailand collapses without warning. A six-story building in Nairobi falls unexpectedly, killing twelve. A tenement building in New Delhi crashes to the ground, taking the lives of sixty-seven. Why? In such cases, heavy rains compromised already weak foundations and caused them to fall. We can see this in Israel and the Middle East, which experience seasons of severe storms and torrential rainfall. During such times, the landscape can change dramatically. The sunbaked ground, which seems so solid during the lengthy dry seasons, easily gives way when the raging waters pound against it. Gullies are formed as the force of the floods makes a path through whatever yields to it. Anything built on those shifting sands ultimately falls. Obviously, this is a problem for anyone who wishes to build any kind of permanent structure. If they want to ensure that their buildings will last, they must take more time, invest the additional resources, and make the extra effort to drill down past the layers of compacted sediment and anchor the structure to the immovable rock. No one is exactly sure where Jesus taught the Sermon on the Mount, but wherever that location was, we know it was near the Sea of Galilee and close to Capernaum, and Christ’s listeners would have witnessed a visual representation of this truth. The surrounding landscape appeared safe, but in fact builders were required to dig down to the bedrock in order for the structures to remain secure. Perhaps they had even seen the remains of buildings that had been poorly founded on the sand and had slid and tumbled when the storms rolled in. Yet we must understand that even though Jesus is talking about an outward reality of a building’s foundation, He is also describing an internal truth—the importance of what we base our lives on and who we are on the inside. Understand, I am not talking merely about a backbone issue. It’s not just about sticking to your ideals when the bad times come. We have all seen people who outwardly cling to their ideologies and values while privately turning to destructive coping mechanisms, hurting their relationships, or crumbling emotionally. Rather, the choices you make about what you believe go to the heart of who you are as a person. You can stand strong on the outside because, on the inside, your life is established on unshakable, unfailing truth. It matters what you believe and why you believe it. When suffering and disappointments come our way, if our lives are built on the right foundation, we can stand no matter what happens. If they’re not, we won’t. Oh, we may look sturdy while the sun is shining and everything is going our way, but when the winds and rains start pounding down, who we really are is evident. And sometimes, that’s not a very good picture. Some people, when renovating a house, upgrade only the cosmetic aspects—new hedges, nicer tiling, perhaps some enhanced lighting. They may also try to hide the defects with paint or cleverly positioned furniture and artwork. So it is when we “renovate” our lives—we may try to get in shape, improve our health, dress nicer, embellish our résumé, and even become more outwardly religious. We try to impress others with our external qualities. We may also try to mask or diminish our pain, weaknesses, and fears with addictive substances or immoral behavior—hoping that, somehow, they’ll make us more courageous. But they don’t. They undermine our confidence even further. All the while, we know that we actually need to replace the foundation and fix those things deep within us that are broken. But that is much more costly, and we wonder if anyone would even notice if we made the sacrifices to improve. Sadly, no matter how attractive a house is, if the foundation isn’t solid, it will fall. This is one of the most important principles any of us will ever learn: Our life must be built on the right foundation. Jesus says that if we want to withstand the inevitable storms, our lives must be based on something that cannot be moved—something that nothing in eternity can overturn. And friend, the only thing that will last forever is an intimate relationship with God. We may be drawn to things that promise to endure a long time, but nothing in this world will outlast the Lord Almighty. And, of course, from a verse many of us can quote, we know that He offers us an unshakable relationship with Himself: “God so loved the world, that He gave His only begotten Son, that whoever believes in Him shall not perish, but have eternal life” (John 3:16). That whoever believes in Him shall not perish. Shall not topple or crash when the storms of life assail. That whoever believes in Him shall . . . have eternal life. Shall have a life that endures—that is counted in eternity. So this is the very first step to having a strong life and an unshakable foundation—having a relationship with God, which can come only through the death of Jesus on the cross. Friend, if you have never accepted Jesus as your Savior and Lord—trusting in Him alone for your salvation—then you’re not building on the right foundation. Why? Because if you don’t know Jesus, you are building on your own nature, which is damaged and unreliable. No one has to tell you what your sins, failings, and mistakes are; they come immediately to mind, no matter how hard you try to forget them. Likewise, you must understand that your own nature is limited and inadequate—not only can you not see the future or control anything outside of your immediate scope of influence, but you will die one day. Any foundation you can come up with by yourself can only be temporary and insufficient. First, Jesus eliminates that old, defective foundation and pays the penalty for everything you have ever done wrong. Your sins separate you from God—from the only One who is holy, eternal, and unlimited, and who can make your life strong. You need Christ to haul all of that old, collapsing, decaying foundation away. Second, Jesus makes you spiritually and eternally alive. He gives you a new nature and, therefore, a new foundation on which to establish your life. Understanding this is at the heart of accepting what Jesus has done for you. Some people believe that following God is simply about observing the guidelines He has given in His Word. That is certainly part of it. But unless you are spiritually alive through the salvation Jesus offers you, you don’t really have a relationship with God. You are merely submitting to rules. Perhaps one of the best examples of the necessity of knowing God through a new foundation is the apostle Paul. Most people would recognize the apostle Paul as a man who stood strong—and I would heartily agree with them. After all, apart from Jesus, few have had such an incredible influence on the church as he has. Paul went on three fruitful missionary journeys; founded many churches, which, in turn, planted many more; and wrote almost half of the New Testament. Certainly, we can say that the life of the apostle Paul continues to have a powerful impact to this day. But we also need to recognize that his story could have ended very differently. At one time, Paul was called Saul, and he had all the prestige this world had to offer. He was a respected member of one of the most powerful religious ruling classes, the Pharisees. He was trained under Gamaliel, one of the greatest rabbis of the first century. Saul was known and admired among his peers as a faithful and talented man who was full of zeal for his nation. In fact, Saul was so passionate about his beliefs that he was willing to kill for them. As a committed Jew, he observed the laws of God to the letter. He also persecuted the newfound Christian church and was even present for the execution of the first Christian martyr, Stephen (Acts 7:59–8:1). Those in his community may have thought Saul had it all—he was a religious giant and a force to be reckoned with. And the reality is that we might have thought so as well. We might have looked at Saul and seen a wealthy, educated man with a lot of power and an untouchable pedigree. But we would have been looking at the wrong things. The truth of the matter was that Saul was on track for a life full of futility, weakness, murder, and regret. Yes, Saul was committed to God, but he did not truly have a relationship with Him. Thankfully, that was all before Saul met Jesus and became Paul. Perhaps you recall the story. “As he was traveling, it happened that he was approaching Damascus, and suddenly a light from heaven flashed around him; and he fell to the ground and heard a voice saying to him, ‘Saul, Saul, why are you persecuting Me?’ And [Saul] said, ‘Who are You, Lord?’ And He said, ‘I am Jesus whom you are persecuting’?” (Acts 9:3–5). The man who was willing to do anything for God finally met Him face-to-face on that road to Damascus. And that meeting completely transformed his life. Later, when Paul retells the story, he includes an interesting detail. He says, “I heard a voice saying to me in the Hebrew dialect, ‘Saul, Saul, why are you persecuting Me? It is hard for you to kick against the goads’?” (Acts 26:14). Unless you raise cattle, that phrase probably does not have much meaning. Farmers use a goad to direct oxen or other beasts of burden as they plow fields. Usually it is a stick with a pointed piece of metal on the end that the farmer can use as a prod. A rebellious ox might fight back, kicking against the goad, which actually drives the sharp iron tip deeper into the animal’s flesh, injuring it. The more the ox fights, the more it wounds and weakens itself. The picture is striking. Saul thought he was living a strong life for God because of his legalistic adherence to the Law, which is the tool—or goad—that the Lord uses to direct us in how to walk with Him. But Paul was really fighting against the goad—against Scripture—because Scripture’s true purpose has always been to lead humanity to the salvation Jesus offers (Rom. 7:7–25). So Paul’s erroneous beliefs (and the acceptance of his fellow Pharisees) were actually weakening him, undermining his life and his relationship with the Lord. He missed the very Messiah God’s Word was pointing to (John 5:39)! We will talk about this in detail in the next chapter. But I wonder how many people reading this book are doing the same? Following God but not really knowing Him. Wanting to build an admirable and joyous life but ending up with destruction and despair. Thinking they are living for the Lord but unwittingly allowing their faulty beliefs to undermine their lives and relationship with Him. Like Paul, kicking against the goads. Friend, is this you? Are you a moral person who lives a good life—loving others and doing what you think is right but finding a lack of strength, joy, or meaning in your daily existence? Do you know of God but not know Him personally? Do you find a lack of stability, security, or purpose in your life? Are you missing His presence, provision, and peace? Lord Jesus, I want a relationship with God—I want to build my life on the eternal foundation that You offer. Lord Jesus, please forgive my sins and remove the old foundation of my sinful nature. Save me from eternal separation from God. By faith, I accept Your work and death on the cross as sufficient payment for all my sins, mistakes, and failings. Thank You for making me spiritually alive—providing the way for me to know You and to have a relationship with my heavenly Father. Through faith in You, I have eternal life and an everlasting foundation for my life. Thank You for saving me! Jesus, I acknowledge You as the Lord of my life. Identify my false beliefs so I will stop kicking against the goads and wounding myself. Help me to live a strong life that is worthy of You and the new nature You have given me. Please give me the strength, wisdom, and determination to walk in the center of Your will. In Jesus’ name, amen. If you’ve just received Jesus as your Lord and Savior, you’ve made the very best decision you will ever make. There is absolutely nothing more important than having a personal relationship with God. This is the firm foundation that the rest of your life will be built on. You simply cannot have a strong life without Him. Thankfully, now you are on the path to having the resilient and meaningful life you long for. Of course, you may be thinking, I accepted Jesus a long time ago. I’ve built my life on God, but I still feel weak. Perhaps you have known Christ since you were a small child or grew up in a Christian home and truly believe everything you do has a godly basis. But consider: Does what you believe really line up with the Word of God? After all, Saul, too, was wholeheartedly convinced he was doing right. That is, until he had a true encounter with Jesus. Friend, we need to be conscious of the fact that, sometimes, we may be kicking against the goads of Scripture, by holding to beliefs that are actually weakening us. We need to measure everything we hold dear against the truth of Scripture and not just take what we’ve been taught at face value. Why? Because at times we hold beliefs that are actually contrary to God’s Word—whether because we were taught them by someone we respect or because our experiences have shaped our understanding. By holding to wrong beliefs, we become weaker. Let’s go back to what Jesus said in the Sermon on the Mount: “Everyone who hears these words of Mine and acts on them, may be compared to a wise man who built his house on the rock” (Matt. 7:24). The only basis for a rock-solid foundation is God’s Word. Not what your parents taught you. Not what your pastor said. Not even what you read in Christian books. Everything must be tested against God’s Word (Acts 17:11). Because the truth of the matter is that we are living in an age when taking Scripture seriously is becoming rarer and rarer. Some Christian leaders distance themselves from the Bible and turn to empty ideas and theories, sanctioning behavior that the Word of God condemns. Trust me, in the eight decades I have been alive, I have seen more church-building fads and philosophies come and go than I can count. Only one source has stood the test of time, and that is the Word of God. So if your life is built on the temporary—read, contemporary—sand of passing opinions or other people’s theology rather than a personal relationship with Jesus Christ, you may find yourself crumbling under the pressures of life. But if you build your life on the rock of truth—the Word of God, which has withstood the hurricane winds and torrential rains of time—not only will you stand in this life and even become better with the tempests, but your existence will make a difference in eternity. This is why, in this book, we will take a long look into our convictions—the beliefs that influence our lives and shape our decisions. Our convictions define who we are and what we become—whether we become strong or weak, whether we build on or undermine the foundation of Christ. We live out our convictions every day in innumerable ways. So in Part 1 of this book, we will examine what our lives are built on: our most foundational views about the Trinity—God the Father, Son, and Holy Spirit—as well as what we really believe about Scripture and prayer. Naturally, anyone who has ever built any kind of structure knows that it’s not just what you build on that counts, but also how you build and what you build with. For example, in the last few decades there have been many advancements in hurricane- and earthquake-proofing houses. The right building materials used with the appropriate techniques can make a tremendous difference in the strength of a structure. We’ve all heard the stories and seen the photos on the news about the one house in a neighborhood that stands because of wise construction, while the rest are destroyed by storm-driven winds. This leads us to our second factor in establishing a strong life, which is building it with the right methods and materials. Of course, Paul is speaking about how we choose to construct our lives once the foundation of salvation through Christ is set. We can either use materials based on our own ego, needs, and desires (wood, hay, and straw), which will eventually perish, or we can build our lives out of what will please God and will endure eternally (gold, silver, and precious stones). Thankfully, once we accept Christ as our foundation, the right building materials and appropriate techniques will fall into place—if we will truly entrust our entire lives to Him. Returning to Matthew 7:24, notice again what Jesus says: “Everyone who hears these words of Mine and acts on them, may be compared to a wise man who built his house on the rock.” So, once you hear Him, you must act on what He’s said if you are to be truly wise. James 1:22 echoes His message: “Prove yourselves doers of the word, and not merely hearers who delude themselves.” You must allow what He says to change how you function. You must allow God’s Word to transform you, because in it are the building design and materials that will last into eternity—when time is no more. After all, why would you go through the trouble of laying a magnificent foundation and then build it with methods and materials that are sure to fail? That would make no sense. And yet, that is what many Christians do. They lay their foundation on Christ but still miss some of the greatest joys a believer can experience by compartmentalizing their lives—deciding what behaviors and beliefs belong to God and which ones don’t. They then pick and choose what they will or will not obey. This technique never strengthens a life, it only tears it down. These credentials may not mean too much to people today, but in Paul’s time they meant he was the cream of the crop—an important man who had the respect of those who knew him. He had everything this world says is vital to being significant. We can understand how invigorating this was for him. After all, who doesn’t want to be known for how bright, wealthy, important, powerful, spiritual, or attractive he or she is? And yet, do you know what Paul said about all that? And when he did, he went from desired Saul—the man who was sought after for his own worth—to Paul, which means “small or little.” He became a man who became known for belonging to Jesus. In fact, the name Paul is a derivative of the word paúo, which means “to cease or desist.” What an incredible illustration of how his focus changed. He went from building his life on his own strengths, wisdom, and virtues to ceasing to be of importance at all—to considering himself nothing so Christ could have preeminence in his life. He as much said this when he wrote, “I do not consider my life of any account as dear to myself, so that I may finish my course and the ministry which I received from the Lord Jesus” (Acts 20:24). All of his dreams, all of his understanding, anything he could point to as giving him worth—every bit of it became nothing because Jesus became everything. John the Baptist echoed this understanding when he said, “He must increase, but I must decrease” (John 3:30). And that, friend, gave their lives incredible, everlasting strength. Why? Paul himself wrote, “Because the foolishness of God is wiser than men, and the weakness of God is stronger than men” (1 Cor. 1:25). In other words, the life the Lord builds in us is always tougher and longer lasting than anything any person can ever achieve—no matter how mighty, important, affluent, influential, or intelligent he or she may be. You and I must make this exchange as well. If we want to become strong, we have to change the focus from ourselves to the Lord; we must exchange our understanding for God’s. And we must accept what He says fully—not holding back any area of our lives from His scrutiny and wisdom. So, in Part 2 of this book, we will look at your convictions concerning obedience, the church, adversity, and the end of this life. Each one of these areas will show whether you are seeking to be desired for your own value or have made yourself small so God can be glorified. And how you look at each of these areas will make a tremendous difference in how sturdy your life is and whether it will bear fruit that lasts. Now, I understand that all of this will appear radical and counterintuitive to some. And it is. What Jesus taught always requires faith that God truly exists and that He means what He says (Heb. 11:6). Likewise, not everyone will be able to accept how essential it is to trust Christ fully and stand on God’s Word (John 6:44–69). Fears of criticism, rejection, failure, or loss will always stop some people from going forward on the path that God has for their lives. They won’t want to become small so that the surpassing greatness of Christ can shine through them (2 Cor. 4:7). They won’t be willing to give up their opinions and dreams so that God can achieve exceedingly greater goals through them. And they will continue in their weakness. But if we want to have strong lives, we have to do something different from what we’re already doing. As we said in the beginning, it’s not just having a healthy body, a profitable profession, wealth, or significant social standing in your community. It takes something more, something beyond us that nothing can overturn. Perhaps you’ve experienced all these earthly trappings that are supposed to give you strength and find them sadly lacking. Or maybe you’re facing a terrible trial and are desperate for advice on how to make it through. Understanding how to stand strong is never more important than when the storms of life rage against us. It could even be that you want to be prepared for the great plans God has for you. You’ve seen the difficulties and challenges great leaders face and want to make sure you have what it takes to endure and become all you were created to be. You desire to walk with a sense of purpose. You long to understand what speeds you along God’s path and what hinders you from moving forward. You yearn to have the courage and confidence to endure when obstacles and people arise to challenge you. Even as the best meteorologists cannot foresee the weather with absolute precision, no one can predict the storms of life. Certainly, we may understand that when someone heads down a destructive path, the outcome won’t be good. But for the most part, the trials that really knock us off our feet are the ones we had no idea were on the horizon: a sudden death; an unexpected financial or economic downturn; a devastating medical diagnosis; a violent attack; an earthquake, tsunami, avalanche, or wildfire; and, yes, even weather events such as tornadoes and hurricanes that appear from nowhere and destroy everything. You don’t know when they’ll happen, but you can be prepared. Jesus promised you so in His Sermon on the Mount. Do you long to know how to persevere no matter what storm rages against you? Do you want to know how to build your life on the right foundation and with the design and materials that will endure? Do you yearn to be so thoroughly convinced of God’s work in your life that you can stand strong—regardless of the challenges or consequences? Do you want to be able to say at the end of it all, like the apostle Paul, “I have fought the good fight, I have finished the course, I have kept the faith” (2 Tim. 4:7)? If this is what you long for, friend, keep reading. Take this challenge to examine what you believe and how you are building your life. At the back of this book, you’ll find some lined pages where you can jot down notes as you read: scriptures that touch your heart, struggles you’re going through, convictions you want to become embedded in your heart and soul. These pages are for your personal use. Choose to stand strong by establishing your life on God Almighty. Because if you do, I’m certain you will stand strong and will not be disappointed (Rom. 10:11).